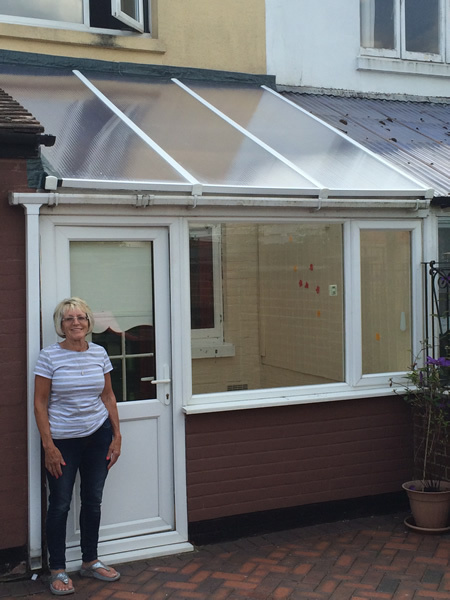 Our roof products will help you to use your conservatory in comfort both in winter and summer as they have the high performance necessary to do this and to provide economic heating in winter. Click this link for further information. However if you decide that you would like to incorporate your conservatory, or a new conservatory, into the house by removing Patio or French doors or a wall you will need permission from ‘Building Control’. The permission is given on the basis that once the conservatory is incorporated into your home there will be no increase in emissions beyond those that would have occurred if you had formally applied for planning permission to extended your house with modern standards of insulation. Building control permission is subject to the presentation of SAP Energy calculations. These calculations must show that the energy usage in the conservatory together with reductions energy usage elsewhere in the house must not be greater than if the conservatory was a home extension with a solid roof and normal windows with modern standards of insulation. We can undertake the necessary calculations after performing a comprehensive energy survey of your home. This is necessary because it is normal, even with the use of our high insulation glazing, to identify some additional measures to offset the high energy usage of a fully glazed structure such as a conservatory. Our experience shows that increased loft insulation, replacement of old boilers etc. are sufficient to achieve the necessary reductions in energy usage. Initial discussion and inspection of the conservatory, or planned conservatory, and the insulation standards in the house. Report with comprehensive calculations of the homes energy usage, which form the basis for the recommendations for improvements required to achieve the SAP requirements, including the various options available. Contact with the Local Building Control department and presentation of the proposal. Liaise with the Building Control department to obtain formal approval. 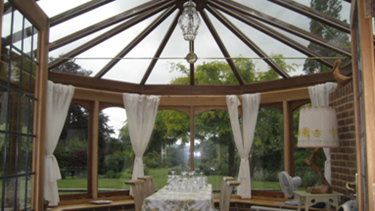 We are happy to help and advise you about any technical aspect of your Conservatory and our products. This can done with a visit to undertake a FREE MOT survey; following this we issue a report to advice you of the condition of your conservatory, the need for any maintenance work together with options for upgrading the standard of the glazing to provide winter and summer comfort if required. If you are outside our service area we are happy to discuss any issues, especially if you send us photographs, and provide you with FREE advice. These services are free and without obligation.